Social Ocean is an online marketing company with years of experience in creating and perfecting the best online marketing techniques to set your company or website apart from the competition. With a wide range of professionals on hand to tackle all elements related to digital marketing, their company is one that appeals to many different people looking for effective online marketing. As an online marketing agency, their company specialises in a wide range of marketing techniques all designed to portray and sell your business ethos in the most effective way online. Their dedicated team cover all online marketing areas including web design, Ecommerce, Social Media and SEO. When it comes to web design they have a proven record when it comes to designing and building websites that generate leads and attract new customers. Their in-house design team works tirelessly to ensure that the website they design is one that truly reflects your business. Once you have decided that you or your company needs a website built or designed, their team set out to make this process as simple and cost effective for you as possible. 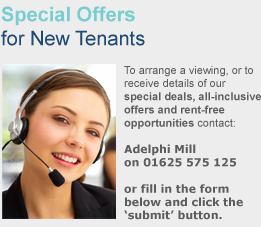 Initially they would set up a meeting with you and the team to discuss what you want and what we can provide for you. Then a proposal is made and a breakdown of costs is provided. If you choose to use their services the next step is to make a 25% deposit with our company and we will provide you with a statement of work. Following this the design team creates a set of design mock ups after a designer has met with you to discuss the visual aspects to your website. The designer will create a variety of options to choose from, and when the perfect one is chosen the designer will create visual mock ups for all the websites pages. If you are happy with the final outcome then a 25% state payment is payable. The coding team will then work to pull the design to bits and put them back together in code form. Finally once you have checked your website and are happy with the results we will accept a 50% payment. Following this they will let your website go live and your new business website will be up and running for all to see! An Ecommerce web design is critical to any online success, and Social Ocean have several ways to help you design the perfect website no matter your budget. If people aren’t impressed with your site it will be nearly impossible to secure sales, so the Social Ocean team will work with you to create a unique experience for your customers that will help boost sales and visits to your site. Social Media Optimisation is about gaining more Twitter followers, Facebook friends etc. that will ultimately help you secure more views to your website and business ideas . Social media allows anyone to engage with their followers, those who view their website, so making the most of these sites is vital to ensure you reach out to more potential clients and existing customers. They will analyse your existing social media profiles and look into your website traffic on these sites. They will then make a proposal regarding you social media, highlighting how you can utilise your social media and which social media forums are best for you or your company. As with all of Social Ocean’s services they have two simple steps when it comes to analysing the SEO status on your site. They will analyse the existing use of SEO on your sites, if any, and then they will propose how you can make vital changes to ensure you’re are using SEO effectively. 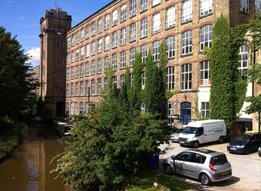 Social Ocean is based at The Adelphi Mill offices that lie alongside the Macclesfield canal on the edge of The Peak district. The office space at Adelphi Mill is plagued in history and beauty, with many exciting on site facilities that set it apart from the rest. All through April Social Ocean is offering 15% off our services, with the same hard working and dedicated team doing the same work but at a reduced cost to you and your business. For more help or information about Social Ocean’s services please contact us today and their team will be happy to help.